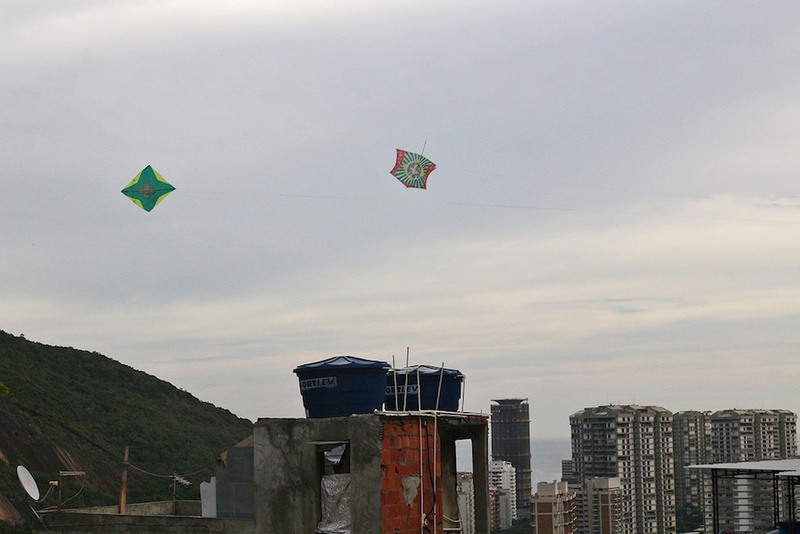 In Brazil, perhaps the second most popular pastime after soccer is kite flying. 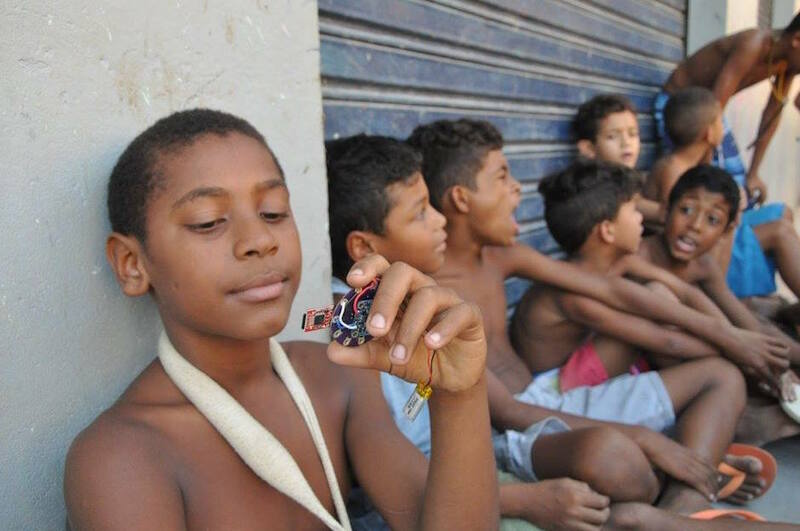 Pipas Conectadas (Facebook, Website) is a project aimed at building a fun but educational and social experience around kite flying for young children in the favelas of Rio de Janeiro. 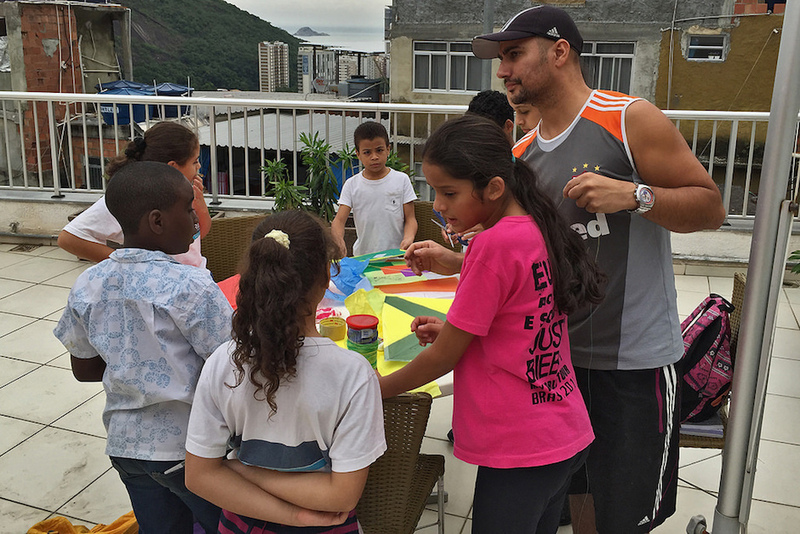 Through a series of workshops, children are taught the basics of electronics and creativity as the kite flying they know and love is blended with art and technology. After building and decorating their fighter kites, they retrofit them with a lilypad Arduino, Lithium Polymer battery, SD card data logger and a 9 degree of freedom inertial motion unit (IMU) sensor. 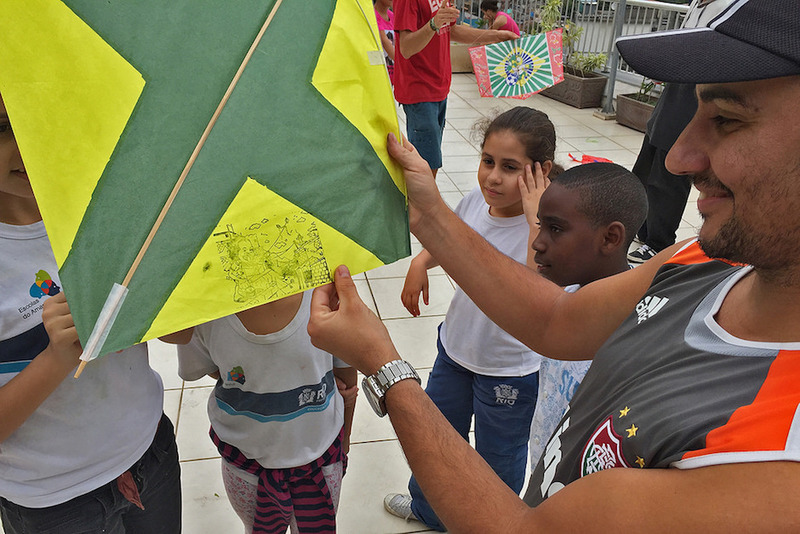 Students then start logging data as they fly their kites performing acrobatic maneuvers and tricks together with their friends. 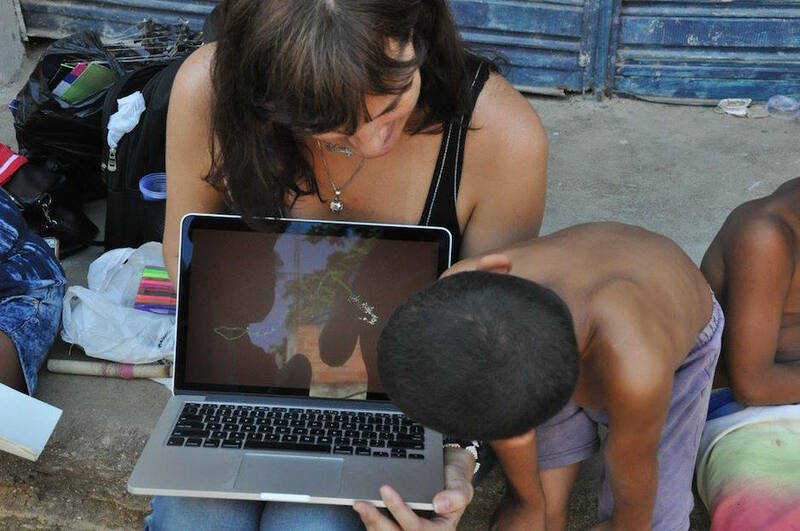 For my part of this project, I was commissioned to optimize the data logging and create a procedural visualization tool for students' kite data. In order to go from IMU data to a recognizable visualization, several features had to be implemented. Data logging is filtered with a smoothing algorithm to isolate the signal from sensor noise. Accelerometer data is then time averaged and shifted average out some of the sensor drift. A Riemann integration is then performed on the accelerometer data to get velocity information from the kite. Because of the nature of solid state IMU devices and sensor drift, absolute positioning is not possible so the the visualizations used are graphing the kite's velocity. Due to project constraints, the visualization had to be developed in Processing for later porting to p5.js.